Suddenbreakingnews Explodes onto Kentucky Derby Trail: The Road to the Kentucky Derby traveled through Arkansas once again, this time, the Southwest Stakes was the popular stop for promising three-year-old colts and geldings hoping to collect the final set of 10-4-2-1 points before the stakes were raised and the races would get more difficult. The Southwest Stakes is run around two turns, going 1 1/16 miles over the dirt. This year, a gelding bred to be long striding and classic won the race and has not jumped to the forefront of everyone’s minds with his move in the stretch. Suddenbreakingnews is new to the Triple Crown trail. 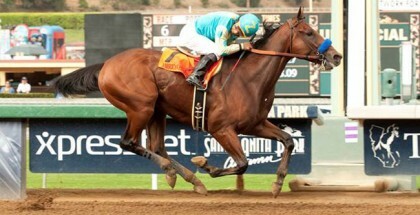 He has races exclusively at Remington Park before the Southwest Stakes. The well-bred gelding made a last to first move in his first start at Oaklawn, winning over two promising horses in Whitmore and American Dubai. While the pace in the Southwest was honest for these horses, it was not insanely fast that most closers need to make a move like Suddenbreakingnews did. This Mineshaft gelding has a lot to look forward to. Suddenbreakingnews is out of the mare Uchitel, who started three times in her career, but managed only to finish as well as 6th. Her other two starts, she managed a 7th and an 8th . She clearly was not cut out for racing and was sent to the farm to become a broodmare. In 2013, she produced a Mineshaft colt, later gelded and named Suddenbreakingnews. Uchitel also has a 2012 Sky Mesa filly, named Virginia Hill, who has raced exclusively at Woodbine. She is a winner of a maiden and also placed third in an allowance. Uchitel is sired by top racehorse, Afleet Alex. 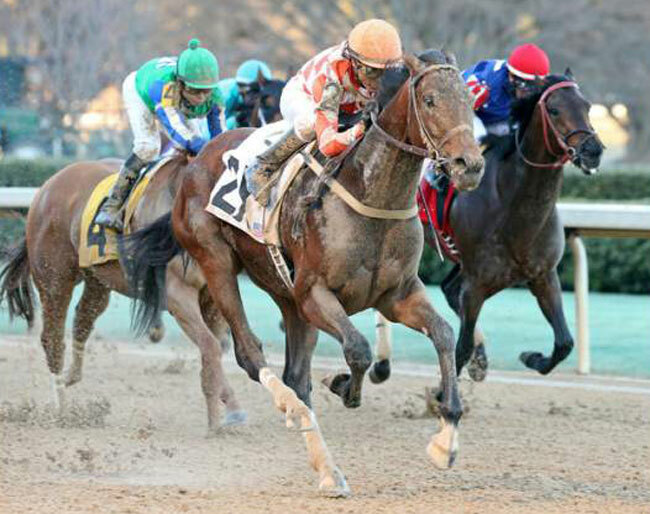 Afleet Alex was one of the most memorable racehorses in recent history. 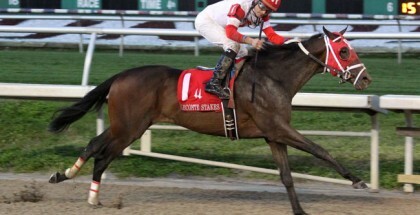 After a top showing in the Arkansas Derby, he finished a trapped third in the Kentucky Derby behind 50-1 shot, Giacomo and Closing Argument at odds of 72-1. Afleet Alex has been 5-1. The favorite that year was Bellamy Road, after he demolished a field of good horses in the Wood Memorial. Afleet Alex came back to win the Preakness in brave fashion, stopping the hearts of millions when he went to his knees at the top of the stretch when Scrappy T blew the turn, causing Afleet Alex to clip heels. He picked himself up and gave the crowd a show. He came back again to win the Belmont Stakes, where he put on another impressive showing. Following that, Afleet Alex experienced a career ending injury when he resumed training. He stands stud at Gainesway Farm for a light price of $12,500. Suddenbreakingnews is proven on both turf and dirt, but seems to have found a home on the dirt. If he comes out of the Southwest well enough, he will likely aim for the Rebel and the Arkansas Derby before heading to Louisville. The gelding looks to have a promising future.